I’ve been doing mediation for over thirty years, primarily in family cases, but also some in business, personal injury, neighbor and workplace disputes. Over the past ten years, I’ve been working on how to adapt the mediation process for one or more high-conflict participants. It has slowly dawned on me that much of what helps is to do the opposite of what I was doing before. Most of what I have learned came from the failure of more traditional approaches that work with most people. In this article, I want to briefly point out ten paradigm shifts that seem to bring more success, when there are one or more high-conflict people involved. I am not saying this is what you should do in mediation with the 80%-90% of people who are not high-conflict. But you can use these methods with anyone. You can also use these methods whether you are mediating with the parties in the same room together or in separate rooms or online dispute resolution. With ongoing relationship disputes, such as family, neighbor, and workplace, I prefer to have both parties together in the room to help them strengthen their negotiation skills together and to see each other as ordinary human beings. However, with high-conflict people, it may be necessary to have private caucuses for part of the time. Many mediations involve a thorough discussion of what each side’s point of view is and what has happened in the past. Yet, with high-conflict people, their discussions of the past lead immediately to overwhelming emotions, angry exchanges and general frustration. Trying to get the “facts” of the case straight is just not possible in these cases. So, it helps to really, really emphasize from the start: “We will be talking mostly about the future and very little about the past.” I have found that the more high-conflict the case, the more strict the mediator needs to be about this. However, by saying “very little” about the past, it gives you room to allow brief discussions of the past. Then, if/when it goes off track, you can remind them we’re focusing on the future. It’s very common in mediation to want to lead the parties to have insight and increased self-awareness about their dynamics in a dispute. With my background as a social worker before becoming a family lawyer, I originally wanted to transform my clients into better people from having worked with me. I have since learned to forgetaboudit! High-conflict people are not going to have insights about their past behavior and why they should do things differently in the future. They are just too defensive. Just like focusing on the future instead of the past, they are more successful if they focus outward, rather than inward. Mediator efforts to get them to change tends to make them feel like you think there is something wrong with them as they are. This puts unnecessary stress on your working relationship and often makes things worse. The first party makes a proposal involving Who will do What, Where and When. Then the second party asks Who, What, Where and When questions about it. Most mediators start off the mediation with an opportunity for each party to have uninterrupted time to share their view of the case—their “opening statement.” However, this tends to focus everyone on the past, which we’re trying to avoid. So instead, you can ask for their “thoughts and questions about the decisions you want to make.” Then, give them each a turn to talk about that. This gives them an opportunity to be heard and to get the mediator’s full attention and respect while steering clear of the minefields of the past. However, this doesn’t need to be very long. The goal is to feel heard about something, rather than to solve anything at this point. You want to avoid the long-winded, angry, blaming story of what each high-conflict person feels about the other person. That will set back the process and perhaps bring it to a halt. Mediators often ask a lot of probing questions, especially in the early stages of the mediation. With ordinary people, this often helps get at the heart of the matter and opens up helpful discussions, especially for those in ongoing relationships. However, with high-conflict people, this tends to make them sit back and just wait to be asked questions and to give answers. This also tends to pull the discussion back into the past where things can get stuck or blow up. It further runs the risk of sounding like the mediator has taken a position challenging the person they are asking questions. High-conflict people become easily defensive and/or blaming, when they are asked questions. Instead, I have found that it helps to teach them about options when I feel like asking probing questions. Since high-conflict people often don’t know about or think about alternative solutions, it helps to just tell them what is possible and what other people have done in similar circumstances. This takes any value judgments out of the picture. This works better than trying to lead them to deeper awareness through probing questions, or for the mediator to try to come up with solutions by asking probing questions. Instead, you want to give them options and keep them thinking about making their proposals. High-conflict people often come to mediation making demands and telling the mediator how it has to turn out. They generally are not looking for advice, but rather for opportunities to control the situation. Therefore, it helps to turn this around by teaching them to ask you questions. Regularly ask, “Do you have any questions about that?” At first, they usually don’t. But, then they often do start asking questions. You want to give them the idea that you are a source of a lot of information, and that they need information so they can make good proposals. This helps them think more objectively about the problems they came to resolve, rather than just reacting to what they hear from the other party. One of the goals of high-conflict mediation is to keep the parties so busy thinking about solutions that they are not distracted by reacting to each other. I was trained to think about the Agenda after hearing from each party, and telling them how we would proceed, with the issues lined up in the most likely order for success. With high-conflict people, I have learned that it’s important to help them to make their Agenda. This makes them think in advance more productively about the details of the discussion we’re about to have. It also gives them more practice at making little joint decisions throughout the mediation process. Then, when high-conflict people veer off from the topic at hand (which often happens, as they emotionally react to each other), you can bring them back to “their Agenda” or ask them if they want to consciously change the subject to the new one. Since they “own” the Agenda, this avoids having them blame the mediator for imposing an Agenda or favoring one party’s topic. With reflective listening, the listener reflects back what he or she heard the speaker say, such as: “I heard that you are frustrated with how the work schedule is developed each week.” High-conflict people need to hear more—that you are invested in them, want to really help them, maybe even care about them. That’s why we use a lot of EAR Statements℠: Statements that show Empathy, Attention and/or Respect. They often feel frustrated with professionals who simply reflect back the upset feelings they know they are having. So, you might say the above sentence, but then add: “And I want to help you with that,” or: “And, I really respect how hard you work here.” They want to hear that you are working with them against the problem, rather than seeing them from a distance or seeing them as the problem. Many mediators are in situations where they have to mediate and resolve a dispute all on the same day, or sometimes within just an hour or two. With high-conflict people, this is often unrealistic. The failure rate is higher in these situations, then the parties often end up going to court. Instead, it seems to help to really give high-conflict people the opportunity to think about and get comfortable with certain proposed solutions to their disputes. “Think about it overnight. Be sure this is what you want or what can be workable.” They often have a hard time letting go of the conflict, as it has given them some structure, attention, and purpose in their lives. With this in mind, it helps to give them time to think, otherwise, they may try to set aside the agreement. The more pressure they feel, the more likely they are to blame those around them for “making” them agree to something they really don’t want. Many good solutions take some time for high-conflict people. Then, they may agree and reach the same conclusions, but they also get credit for choosing the final decisions, rather than feeling they were forced on them. Overall, think of these paradigms shifts as tools, not rules, to use in your mediations. For more on an overall structured approach for high-conflict mediation which incorporates these paradigm shifts, see the article New Ways for Mediation® or view a 3-hour demonstration training video. 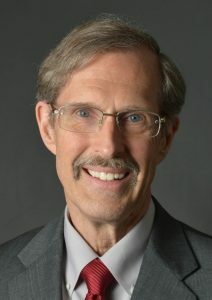 Bill Eddy, L.C.S.W., J.D., is a lawyer, therapist, and mediator. He is the President of High Conflict Institute, which provides training and consultation for dealing with high-conflict people and situations. He is the author of several books on high-conflict personalities and has developed the following methods for managing high-conflict people in any situation: New Ways for Families®, New Ways for Mediation℠, New Ways for Work℠, The CARS Method℠ and BIFF Response®. To learn more about his organization’s training, coaching, consultation and videos, visit HighConflictInstitute.com. This article was originally published on the High Conflict Institute website.